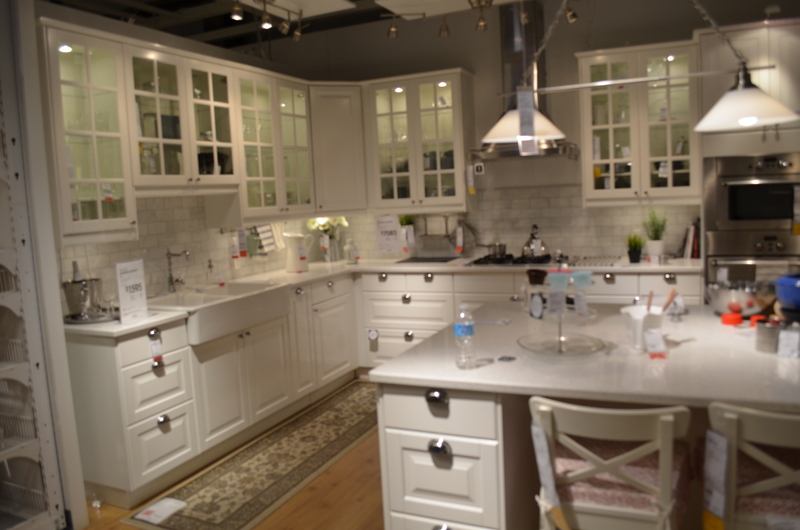 Back when the kitchen design started, the ECF and I were wandering around Ikea looking for inspiration. 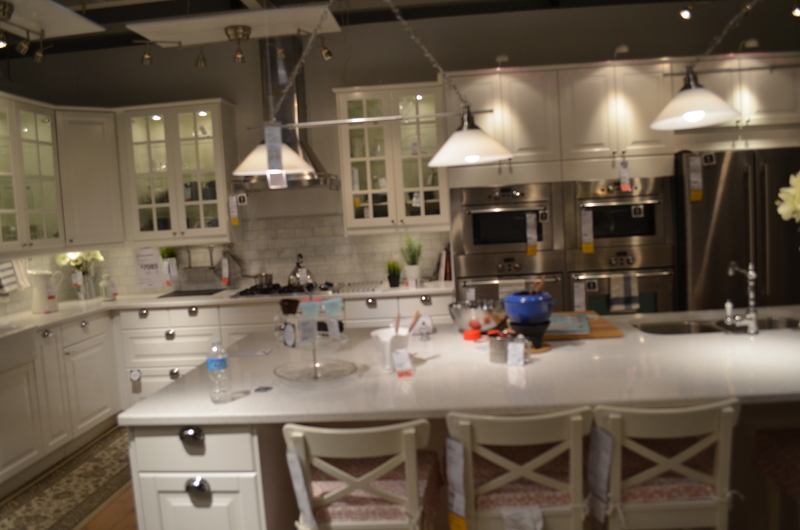 Remember when I posted the picture of my dream kitchen inspiration? Well one of the things that kitchen had (the display kitchen at Ikea) that always stuck with me as an idea, was two dishwashers. But dishwashers are awesome. They do the dishes for you AND you know the dishes are clean to your standards. The problem with the dishwasher is that it is either full of clean dishes and needs to be emptied, or it’s full of dirty dishes but hasn’t been run yet. In either scenario, the dishwasher is relatively useless. Dishwasher, singular. With dishwashers, plural, you don’t have that problem. One is always full of clean dishes, and the other is always mid-load (I know, the logic is weak here, but just stay with me as long as you can). 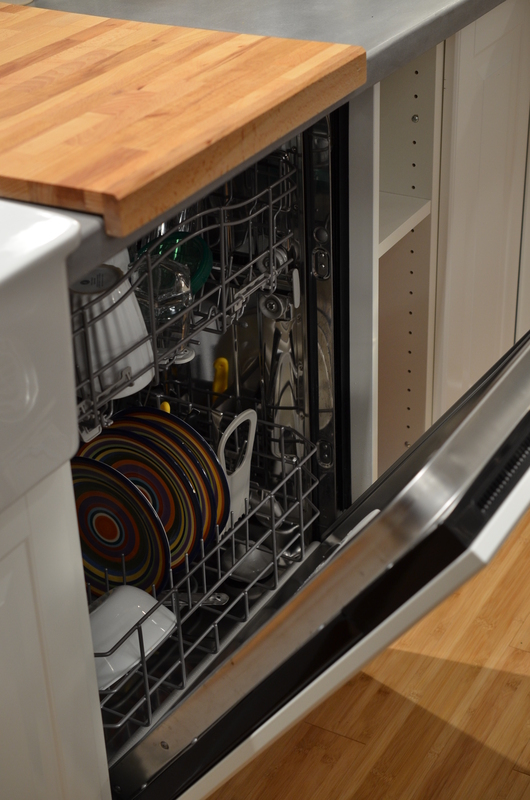 With two dishwashers, you can still be loading, even when one is full. Then you run it, and you keep filling the other one. It’s funny but, the unloading of the dishwasher isn’t really the big deal except when there’s a pile of dirty dishes right next to it ready to be loaded. 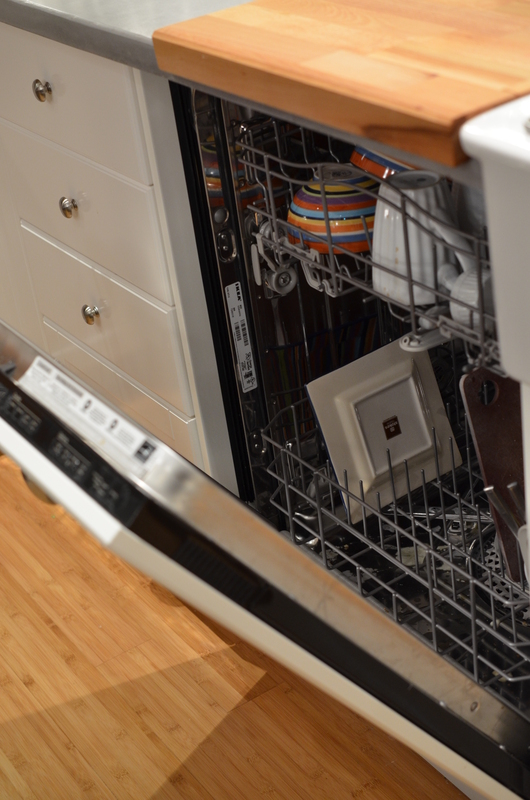 When there are no dirty dishes waiting to get in there, unloading the dishwasher is actually kind of…nice. Yeah, I just said that. I even named them. Lefty and Righty. 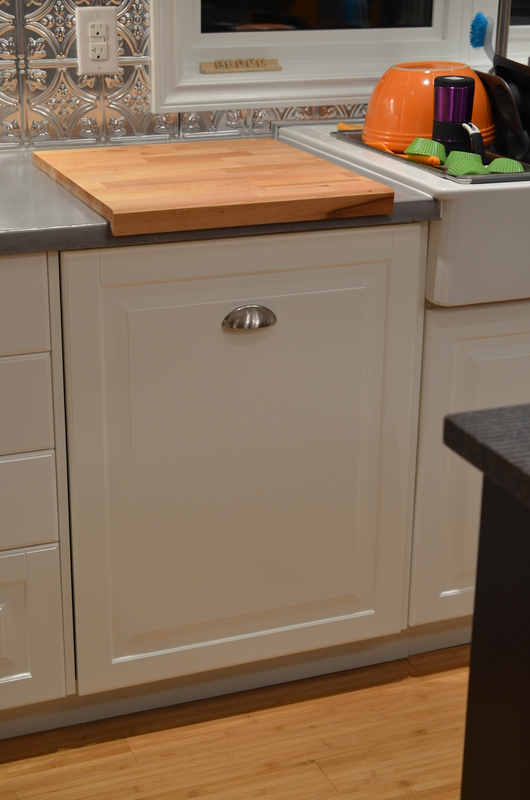 When we first moved back home I was scared of the two-dishwasher system. At first, I thought, oh no, what did we do. This is a mistake. How will I ever get the boys to load the right one, how will I know which one is clean, which one is dirty…I’ll constantly be opening and closing them trying to figure it all out. What have I done! 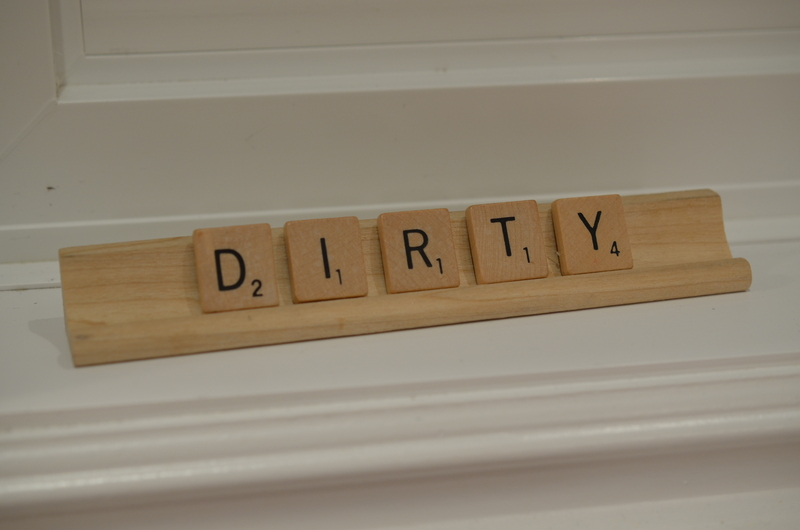 But after a couple of days, we got the hang of it, thanks to a trusty “clean” and “dirty” system. And that’s how we all know which one we are in the process of filling. is the one that needs to be emptied next time someone (ok, me) is standing around the kitchen waiting for the coffeemaker to finish, the toast to pop, the commercials to be over, whatever. And sure enough, when the dirty one is full, it gets turned on, the signs get switched, and the process begins again. I never have dirty dishes on my counter anymore. It is liberating. Every contractor, design person, friend, who knew I was doing this asked me if we did a lot of entertaining. 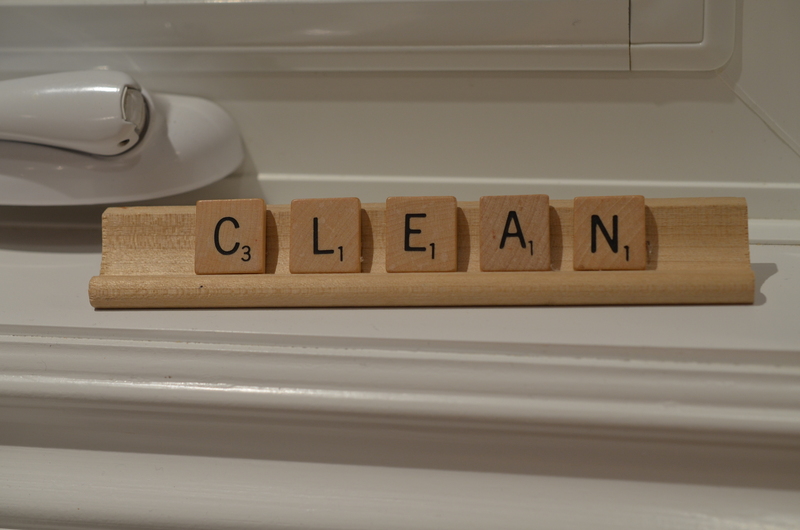 We don’t really, we’re just a busy family with two boys (boys that take a fresh glass every time they need a sip of milk, if you’ve been following along) and a stepmonster who hates dirty dishes next to the sink. It is by far my favourite thing (two favourite things) about the Super Kitchen. FREEDOM!